Katie Creyts is an artist, art professor at Whitworth University, and an arts advocate living in Spokane. Creyts visualizes the narratives using a wide range of materials, currently graphite on paper and etched glass. 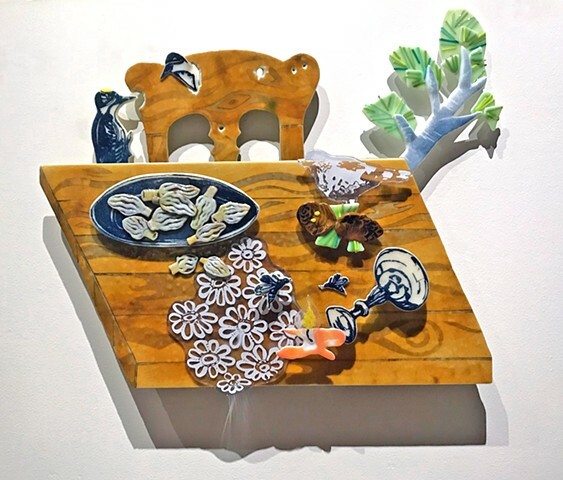 She has an MFA from Illinois State University, a BFA from Tyler School of Art, and has received scholarship for study at The Skowhegan School of Painting and Sculpture, Pilchuck Glass School, and The Studio at the Corning Museum.